A pioneer of the Self-Help Movement, Lorraine Rothman has dedicated her life to women’s rights of self-determination and control of their bodies. Lorraine Rothman was a founding member of Self-Help Clinic One (1971), In the fall of that year, she traveled throughout the U.S. with Carol Downer, speaking to NOW (National Organization for Women) chapters and other women’s groups about self-examination and menstrual extraction. In 1972, Rothman applied for and received a U.S. patent for the Menstrual Extraction Kit, the Del’Em. In 1973, the Supreme Court ruled that abortion was a legal procedure, citing the 14th Amendment. 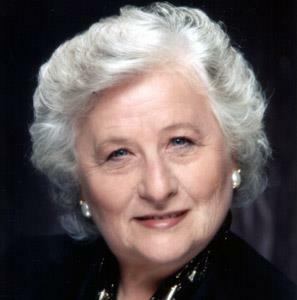 In 1972, Rothman co-founded the FIRST Feminist Women's Health Center (FWHC) in Los Angeles. Women were taught cervical and vaginal self-exams. Radical at the time, they were taught how to perform their own pregnancy tests. Ensuring access, and keeping true to the integrity of self-help, they set up a patient advocacy program with local hospital administrators and doctors to provide simple outpatient suction abortions, on demand, without the hospital board’s approval or a necessity clause. Concurrently, Rothman co-founded the second FWHC in Santa Ana, CA. Following the Supreme Court’s ruling on Roe v. Wade, both centers opened licensed out-patient woman-controlled non-profit clinics providing a full range of well woman health care services, including abortion. Rothman served as an administrator and director of these facilities. From 1973 to 1974, feminist health activists from across the U.S. were introduced to the Self Help Clinic’s patient participatory and educational concepts and opened their own feminist women’s health centers. In 1975 Rothman’s self-help clinic concept was the subject of the books A New View of a Woman’s Body, How To Stay OUT of the Gynecologists Office and Woman-Centered Pregnancy and Birth. She co-wrote (with Marcia Wexler, Ph.D.) Menopause Myths and Facts, What Every Women Should Know About Hormone Replacement Therapy (Feminist Health Press, 1999). The books have inspired a host of clinics, sexual educators, and literature. This biography from Feminists Who Changed America: 1963 – 1975 edited by Barbara J. Love.